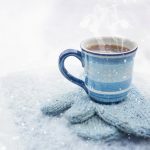 When it comes to maintain your hot tub there are not many things to do, however if there is one thing you should do, it is the keep your filter clean. All you need to do is pull it out and give it a good wash down, removing any bits and dirt that maybe caught in it. 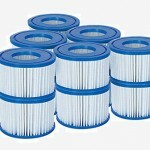 Keeping your filter clean helps to keep your spa clean, it also helps to prolong the life of your filter. 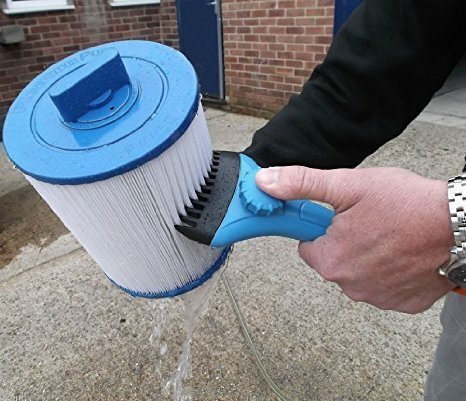 You can wash down your filter under the tap or using a hose pipe, however to get deep into the pleats we recommend using the Super Blaster Cartridge Cleaner Wand, this is a great device that connects to the end of your hose and washes down the pleats getting deep into the filter, it is also quicker while being more thorough than just using a tap of hose pipe on its own. 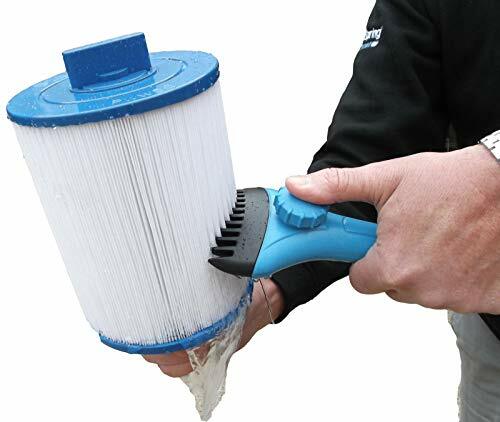 Once your have cleaned down the filter it is worth leaving it in a hot tub filter cleaner fluid to remove and kill any bacteria on the filter too. Happy Hot Tubs 1lt Concentrate Filter Cartridge Cleaner is perfect. After washing down the filter just fill a bucket with water and add 1 litre of filter cleaner for every 20 litres of water to the bucket. Drop the filter in and leave to soak overnight for at least 8 hours then rinse with fresh water and drop back into place. Keeping your filter clean keeps your spa clean and your pump running smoothly. It is worth taking the time to keep your filter clean, and it really does only take a few minutes, but it shall maintain the life of your pump and keep your spa water safe and clean.